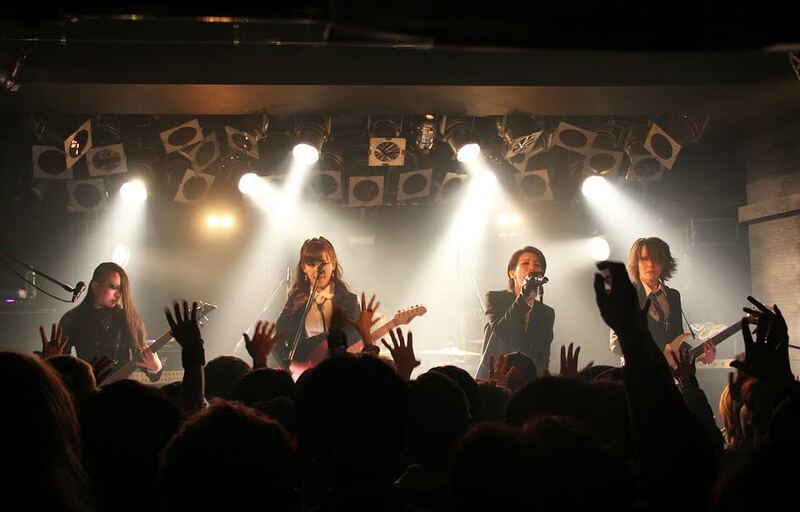 Japanese rock band exist†trace packed all their favorite moments from "The 19th Challenge" concert series into the year’s final show at Ebisu Club Aim. The December 19th "CLIMAX" event featured a massive set list showcasing the different themes of the monthly one-man series which began in April. Band leader miko (guitar/vocals): "The 19th Challenge! After 9 months, we’ve finally finished! We set many challenges for ourselves as a band, and personally I was able to accomplish my goals as well. We got to share our best moments with everyone. For this final ‘CLIMAX’ live, many of our exist†trace family joined us from overseas, too, and that made us so happy. The monthly one-man series has ended, but our challenge is not over yet. Next year and beyond, we’ll continue to challenge ourselves more and more. Please support us!" exist†trace will hold their next one-man live, titled "19’z Premium Party 09 〜aim the next day〜", on January 9, 2018.